New Directions Publishing Corporation, 9780811224864, 240pp. 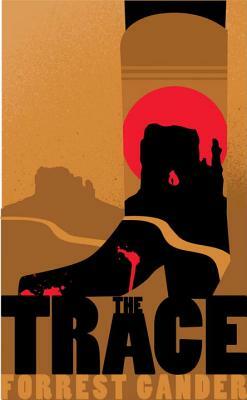 The Trace is a masterful, poetic novel about a journey through Mexico taken by a couple recovering from a world shattered. Driving through the Chihuahua Desert, they retrace the route of nineteenth-century American writer Ambrose Bierce (who disappeared during the Mexican Revolution) and try to piece together their lives after a devastating incident involving their adolescent son. With tenderness and precision, Gander explores the intimacies of their relationship as they travel through Mexican towns, through picturesque canyons and desertcapes, on a journey through the the heart of the Mexican landscape. Taking a shortcut through the brutally hot desert home, their car overheats miles from nowhere, the novel spinning out of control, with devastating consequences. . . . Poet Forrest Gander's first novel As a Friend was acclaimed as "profound and relentlessly beautiful (Rikki Ducornet). With The Trace, Gander has accomplished another brilliant work, containing unforgettable poetic descriptions of Mexico and a story both violent and tender.